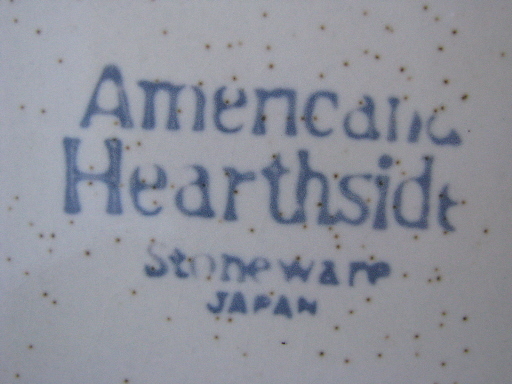 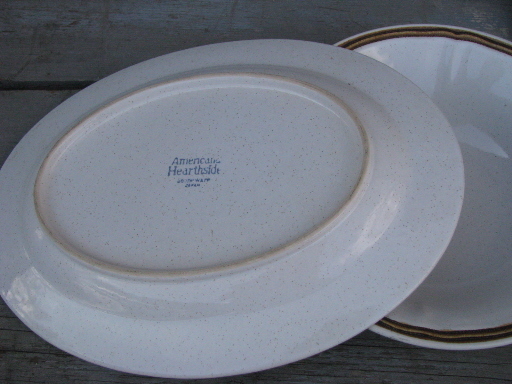 Vintage Hearthside Americana pottery serving pieces - these are the Berries & Cream pattern, plain undecorated stoneware body color with brown trim, no painted strawberry design. 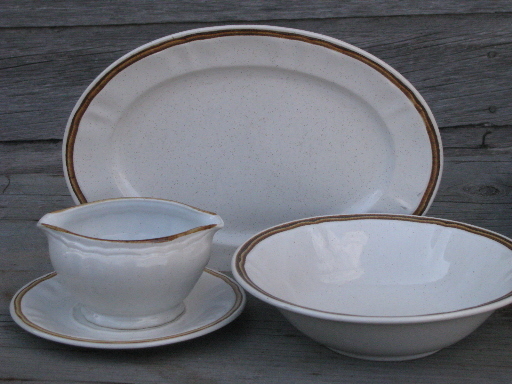 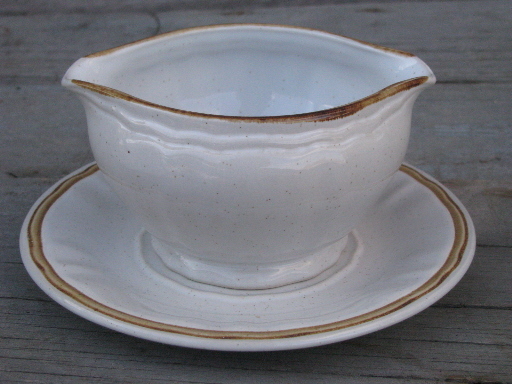 Included in this lot are a gravy boat or sauce dish with separate underplate, a 9" round vegetable bowl, and a 12 1/2" oval platter. 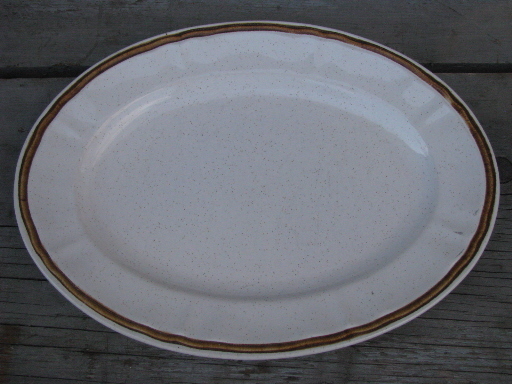 The platter has a few grey utensil marks, but everything else looks excellent.